Planning a Bathroom Renovation - Do I need Bathroom Contractors? Planning A Bathroom Renovation – Do I need Bathroom Contractors? Bathroom renovations are one of the best ways to revamp your home. So it’s no wonder a lot of homeowners plan bathroom renovations every year. But, unlike a lot of other rooms in our homes, bathrooms have both plumbing, and electrical components. They also have a very specific configuration. That means planning a DIY bathroom renovation is a little trickier than other renovation projects. But it’s far from impossible! 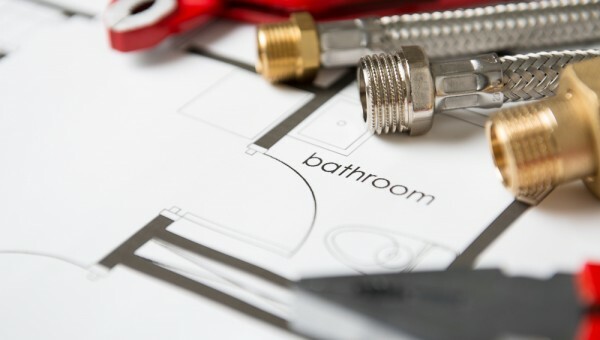 Here are some tips to help you with the planning of your bathroom renovation. If you’re anything like us, you’re eager to get onto the tools and start renovating. However, before you can do that, you need to set a clear bathroom renovation cost. Our best advice in this regard is to set a maximum figure before you look at anything else. At the end of the day, your chosen fittings and services need to conform to your financial resources – not the other way around. So consult your bank account and come up with a base figure. Then, you can do some research and find quality materials that fit into your budget plans. More often than not, your bathroom renovation project will involve an older bathroom, in an older home. After all, these are the most rewarding renovation projects. But they do carry one risk: asbestos. So before you rip up any tiles, knock out any walls, or remove any fittings, you need to be certain there’s no asbestos around. Asbestos is extremely hazardous, and requires expert attention, from licenced professionals. If you suspect your bathroom contains asbestos, or even if you’re not sure, contact an asbestos inspector. This should be the first or second step of your bathroom renovation planning process! Speaking of potential hazards, let’s talk about electricity. Most bathroom renovations include plans to reorganise lighting and power outlets, for convenience and looks. This is a great idea; lighting really ties together all the hard work that goes into a bathroom renovation. However, you should never attempt this yourself. In fact, it is illegal for anyone without a licence and qualifications to conduct electrical work around the house. And there are similar regulations in place when it comes to plumbing. Always consult an expert where necessary. Bathroom renovations range from a minor refit, to a complete overhaul. And if your bathroom renovation plan falls into the latter category, you may be considering an extension. This usually involves knocking out a wall to connect the bathroom to an adjoining room. The results are absolutely incredible, and it’s well worth the effort! But, you have to be sure that you don’t alter any structural walls. That’s where some expert help comes in handy! The finishing touch of all bathroom renovations is waterproofing, and you should definitely include it in your plans! However, keep in mind that there’s a bit of a trick to good waterproofing. If you haven’t done it before, we recommend getting professional bathroom contractors. If that’s a bit outside your budget, then contact a friend or relative with some waterproofing experience. This will ensure that every aspect of your hard-fought renovation is tied together perfectly! For professional help and an experienced touch, contact us today!